Take advantage of our industry expertise, cutting edge equipment and a production team like no other. Have your signage prepared with the highest quality materials, extreme attention to detail, and most importantly, on time. We are a team that delights in a challenge, and looks forward to our next exciting installation. Let us solve your problems and help bring your project to life. Brushed bronze laser cut logo, mounted to marble tile. We pride ourselves on our beautiful and lasting 3D projects. Using the finest metals and composites, mounted on a variety of backdrops, the challenge of planning and executing one of these installations is always rewarded by a beautiful end product. Our team of professional graphic installers work year round on various projects throughout the Nation's Capital. We have installed quality graphics for such clients as: Shopify, Rogers, Bell, Cadillac Fairview (Rideau Centre), Morguard, and many other reputable companies. Add us to your team today! We pride ourselves on producing quality work, and our vehicle wraps are no exception. Using only the finest materials, we create sharp attention-grabbing vehicle graphics, that play an integral part to any successful marketing campaign. 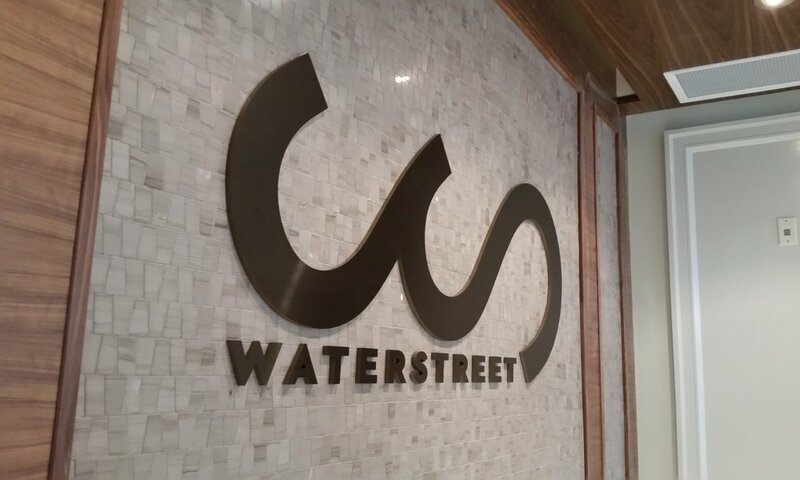 We specialize in architectural wayfinding signage for condo and hotel experiences. Our team of experts are capable of managing all aspects of signage production and installation, and will interact professionally with your project manager. From gumball machines to Plinko boards, we love tackling new and interesting projects. If you have something original to create for a user-experience, shoot us an email. We'll make something awesome together!